Please review our current portfolio to help inform your decision-making process to engage a VC firm. We are most interested in ideas that make life easier for users. If you believe your company belongs on this list, please reach out to us. ArkForecast is the first AI based multi-sourced weather monitoring software for commercial real estate assets. Drawing from weather API’s, social posts, and machine learning, this software keeps track of users’ commercial properties and notifies users when their assets are going to be in danger. With an intuitive database and push notifications, ArkForecast helps owners stay informed from miles away. NationalGunTrader started out as a classified ad site, like Craigslist, where people could get in touch with others to buy and sell firearms and related products. 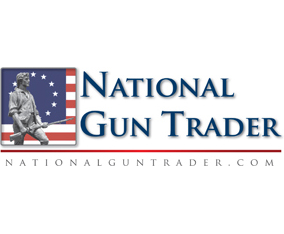 Recently we helped NationalGunTrader completely restructure and launch a brand new platform where users can buy directly through the site from multiple merchants. We are excited to watch them grow. GMRgold is a leading precious-metals and commodities firm, specializing in rare and exceptional bars, rounds, coins and other forms of bullion. As proud patriots, they’re dedicated to ethical business practices, and to expertly guiding our clients toward long-term financial security. Chris Kyle Coins are sold exclusively through GMR. They’ve been hugely successful, and are already in wide circulation. GMRgold has been a great investment but also has become a continuous source of pride.